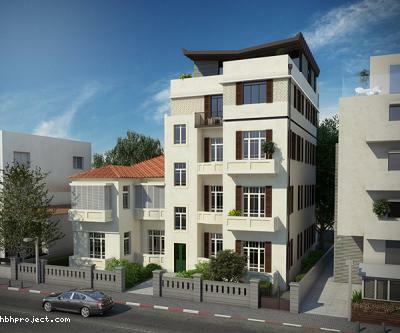 Brand new luxury designed apartment w/ view balcony on rothschild ! Located on the 6th floor of an exclusive tower on Tel Aviv's first boulevard in the heart of North Tel Aviv, the city's most desirable neighborhood, with its shops, cafes and restaurants, within walking distance of the beach, Neve Tsedek, Hacarmel market and Nachalat Binyamin, this brand new, luxury designed and fully furnished 3 room apartment features a spacious living-room with exit to an exquisite 12 sqm view balcony, 2 large bedrooms (including one master-bedroom), 2 bathrooms, an American kitchen, A/C, storage room and parking. Impressive lobby combining old and new, lounge, gym, spa and 24 hour security in the building.